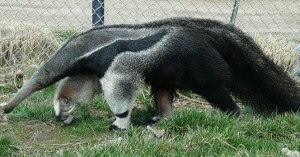 These Giant Anteaters are the largest of all four anteaters. Scientific name of Giant Anteater is Myrmecophaga Tridactyla and they come from Myrmecophagidae. From their nose-to-tail they are roughly between five to seven feet long and they weigh about 40-100 kg. 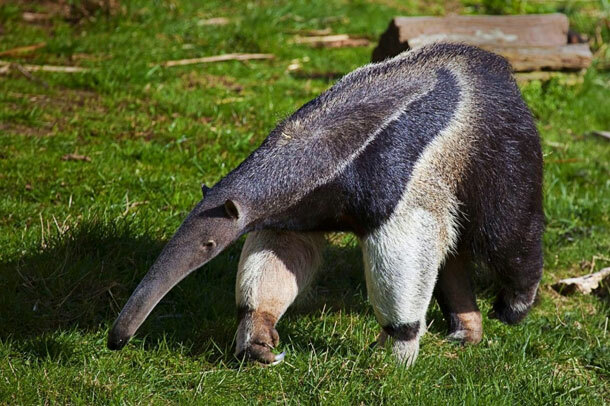 Giant Anteater have long nose with narrow head, tiny eyes and curvy ears. They have rough hair which varies from being brown or grey with black stripes across their body up till mid-torso. Bushy tail of Giant Anteater looks amazing considering the shape of their front part of the body and its tail size is about two-three feet long. Gestation period for Giant Anteater is 190 days and lifespan of about 26 years. As per IUCN, giant anteaters are nearly close to being one of the vulnerable species. Distribution: They are mostly found in the tropical or subtropical regions such as Mexico, Paraguay, and Northern Argentina and in certain parts of America. Habitat: These anteaters can be found in several conditions such as savannas, grassland, humid areas and woodland forests. 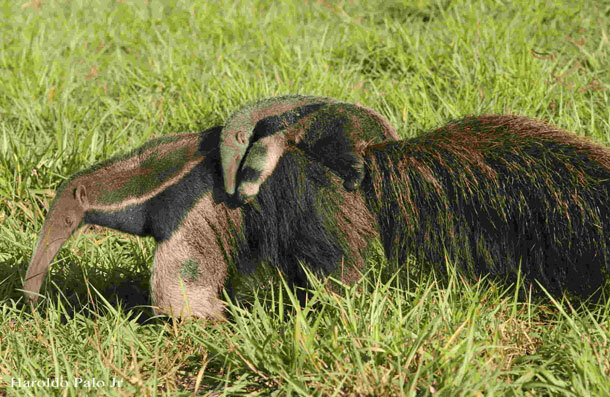 Diet: These giant anteaters are naturally gifted to sense termite mounds. They consume many insects such as ants, beetles, termites and even fruits. Life seems incredible where you are breathing fresh air with your family, friends and all the loved ones while having the time of your life. Visit Bangkok’s best zoo ‘Khao Kheow Open Zoo’ to learn, enjoy and experience the closet moment with Mother Nature. This is your chance to see amazing Giant Anteater along with many spectacular bird and animals from across of the world.